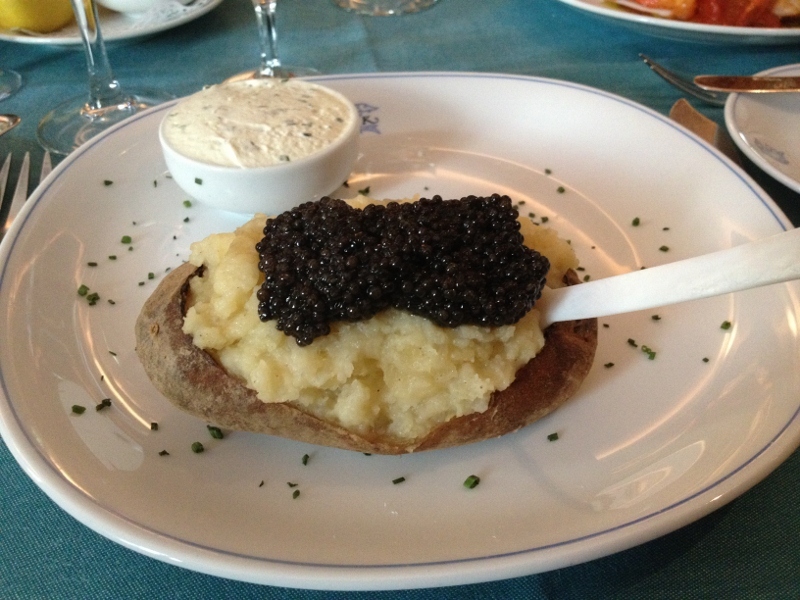 I first visited Caviar Kaspia 19 years ago, and nothing has changed … I blew my budget then and I blew my budget today but it was worth every Euro. Upstairs is an intimate wood panelled restaurant decorated with antique paintings. The waiters all speak English and are happy to help you with your menu selection. 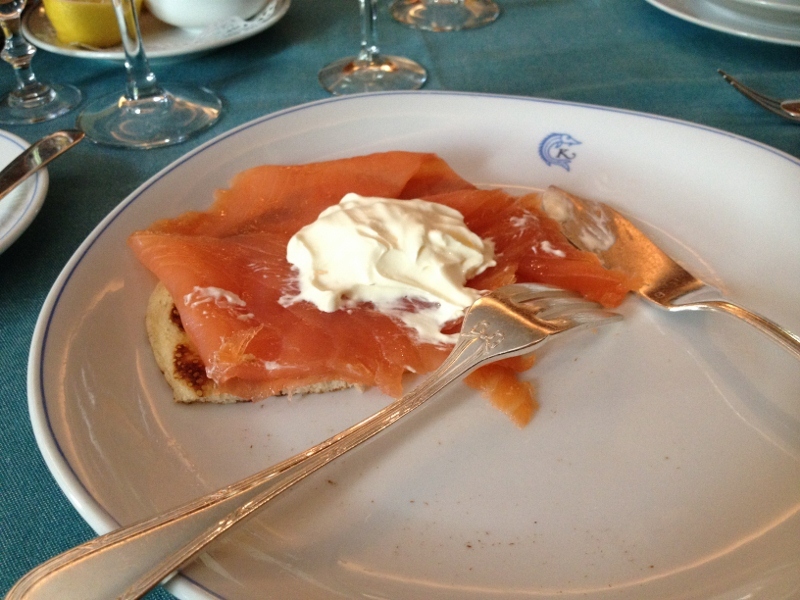 I selected the Printemps (Spring) menu for 79 Euros which consisted of – Norwegian Smoked Salmon with blinis and sour cream followed by 30g of Caviar with stuffed baked potato. It was absolutely delicious, and just the right quantity. 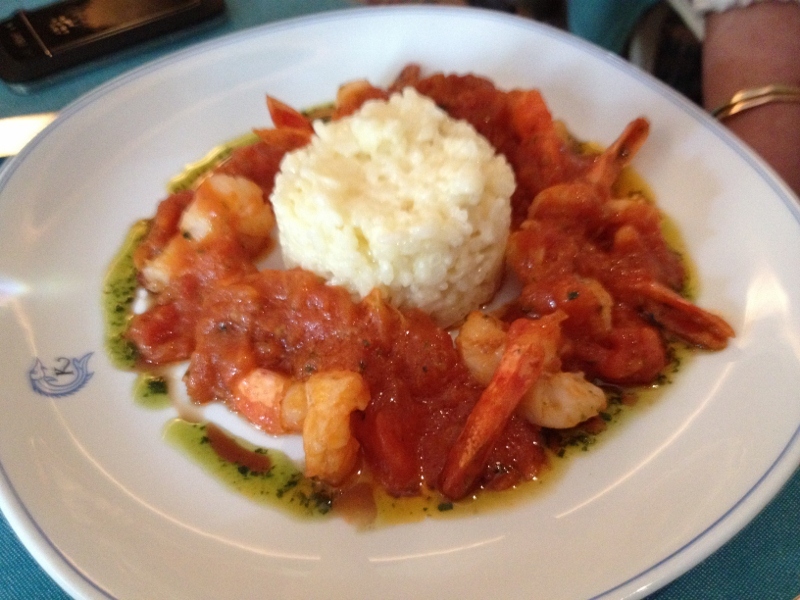 Kate had Crab Gazpacho followed by Champagne Risotto with Prawns. 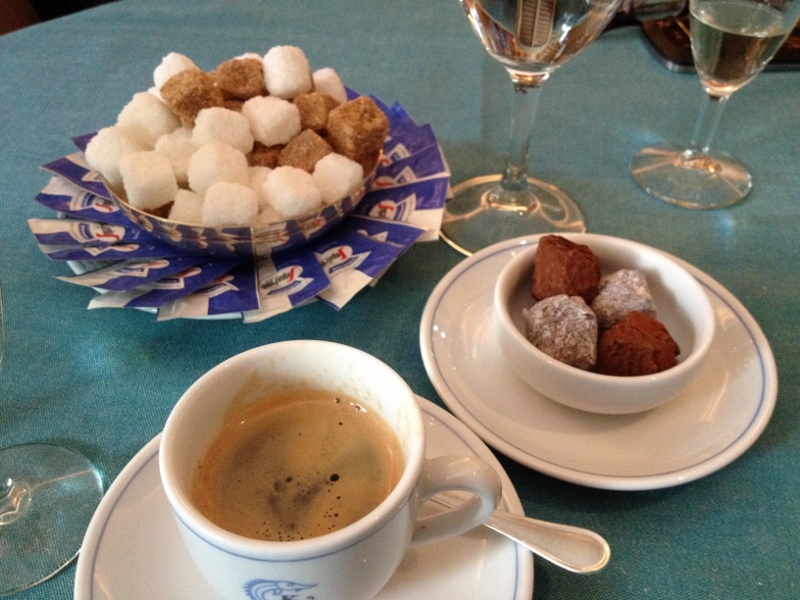 The coffee included with my menu selection turned out to be Segafredo (my favourite) and came with a selection of chocolate truffles. 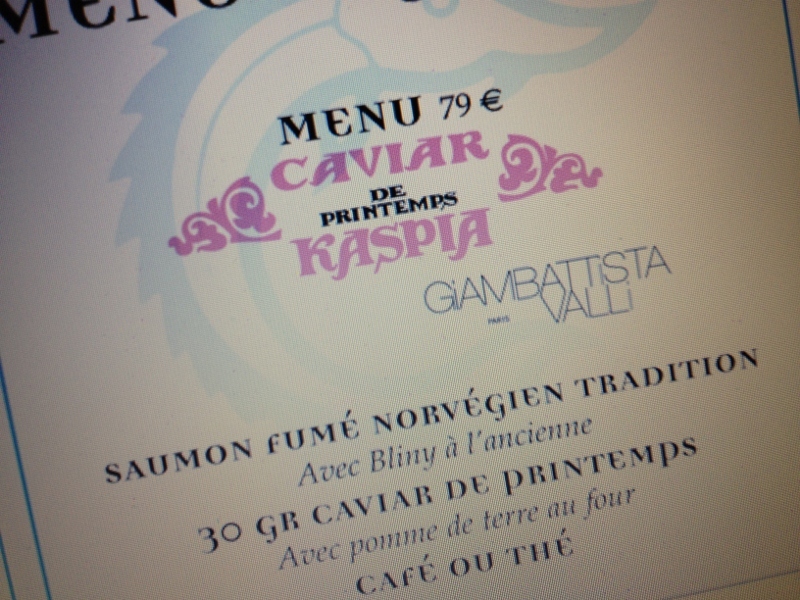 If you are in Paris and don’t mind blowing your budget, drop into Caviar Kaspia mid-morning, and make a booking for lunch. 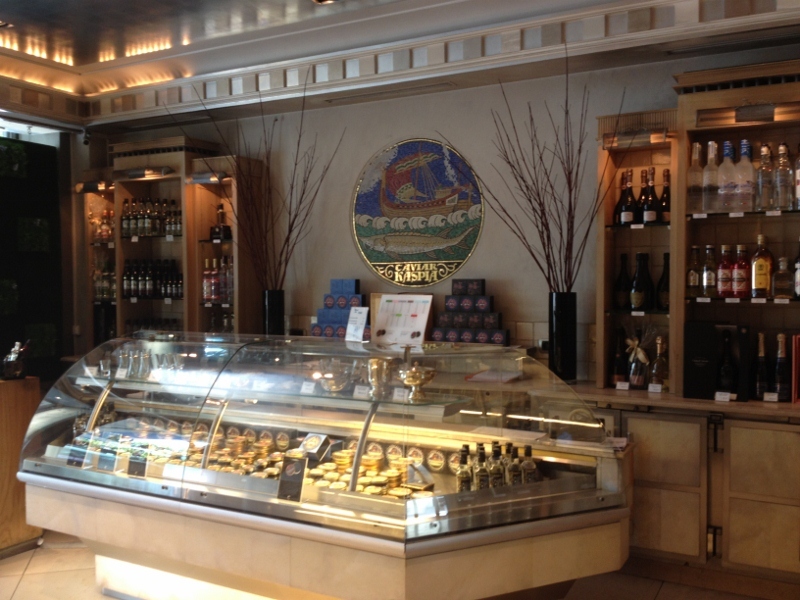 You can then fill in time worshipping nearby at the altars of Ladurée, Maison de la Truffe, Hediard and Fauchon. Previous Will Madame be having pigs or snails?